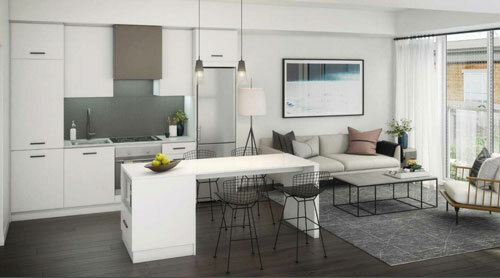 Coming to Queen Street East in the Spring of 2019 is the Logan Residences by the Daniels Corporation. 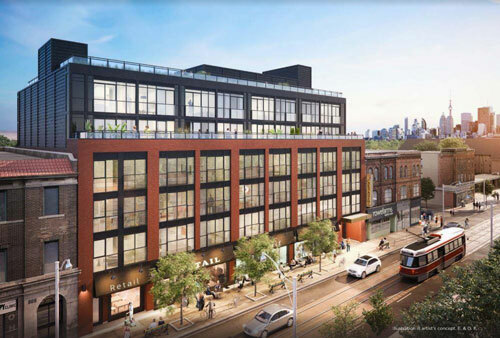 This boutique condo is only 6-storeys with a modest 69 suites. 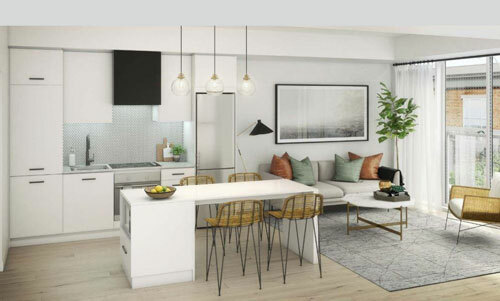 With floor plans ranging from one bedrooms to three bedrooms plus den and everything in between, there is a space for everyone here at 897 Queen Street East. Suites here range in size from 611 square feet to over 1,600 square feet. As is a staple with many of the Daniels properties, garden plots are among the amenities at the Logan Residences. Urban gardening allows residents to build a stronger sense of community with themselves and with their neighbours. Additional amenities include BBQs on the rooftop terrace, a fully equipped gym and party room. With a walk score of 96 and a transit score of 95, you know the conveniences and amenities of this cherished neighbourhood are just beyond your door. The Logan Residences are literally surrounded by trendy restaurants, cafes, shops, grocers and parks. You can also travel across town at any time with direct access to the 24 hour Queen Streetcar.